Salute Vajde Lyrics - Nimrat Khaira | Deep Jandu | Harf Cheema, Nimrat Khaira releases her 3rd solo single titled 'Slaute Vajde'. Music of the song is composed by Deep Jandu and Lyrics are penned down by Harf Cheema. 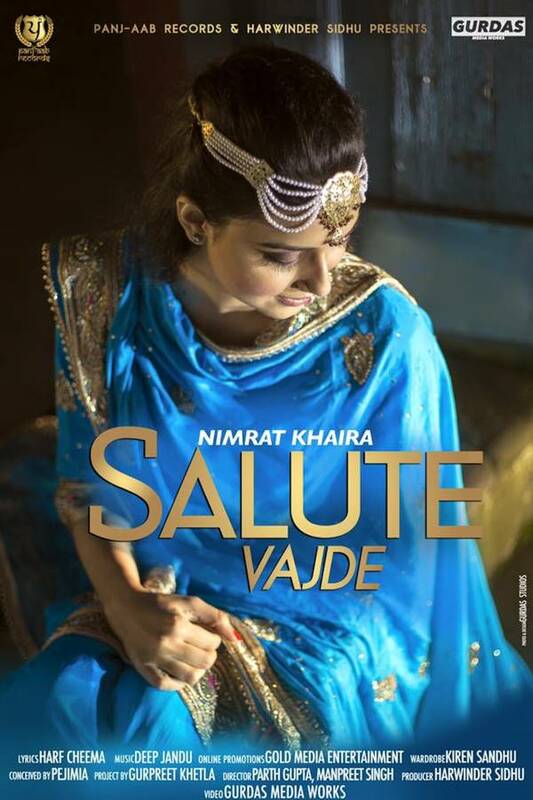 After the grand success of 'SP De Rank Wargi' Punjabi Singer Nimrat Khaira has released her 3rd solo single titled 'Slaute Vajde'. Music of the song is composed by Deep Jandu and Lyrics are penned down by Harf Cheema. Real name of Nimrat Khaira is Nimratpal Kaur Khaira and she is the winner of Voice of Punjab Season 3. He debuted his career with Ishq Kacheri. His latest single 'SP De Rank Wargi' was among top 5 punjabi songs of May 2016. He also sung a duet with Nishawn Bhullar - Rabb Karke.